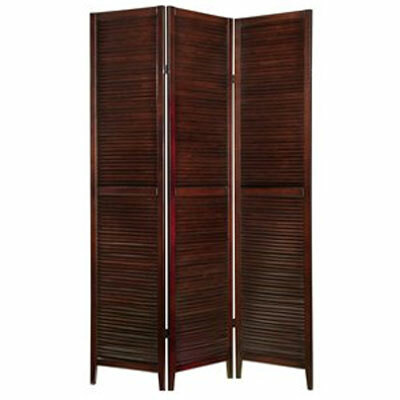 Divide your home with a bit of a rustic feel with the Wang Fu Three Panel Screen. With its warm and glossy antique walnut finish and three panels of lovely shutter-like design, you’ll find the Wang Fu a functional piece to your home. Make any space your space with this screen!